As 2019 now approaches, the UK Tribute Festivals team are gearing up for what is set to be the biggest year yet! We are busy putting together the stellar line ups for 2019 and securing new additions in the UK to our touring schedule. 2019 promises to be a mammoth year and as always, true to our roots with all the festivals, the tickets will be free with just the small booking fee to pay to register. There’s no doubt that festival goers are turning to UK Tribute festivals as they are absolute value. 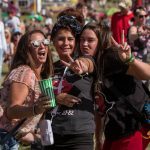 Both concert and festival customers have become much more considered in their purchasing habits and have, especially in the last year, really began to question ticket prices and what is value for money. UK Tributes was originally setup to deliver absolute value and prove that you can give value without charging customers hefty ticket prices. 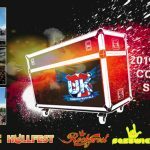 2019 will see UK Tribute Festivals in new cities in the UK with news coming soon! Tickets, dates and line ups will be released very soon! If you have not yet attended one of our spectacular festivals what are you waiting for, it’s never too late to join the party! That’s great news, I hope you are coming to our town. We love your festivals but have to travel quite a way from the North East. Thanks for taking the time to leave a comment on our Blog Sid. Hope to see you at one of our festivals soon. The VIP ticket gets you access to the Roofed VIP area with a VIP Bar and Toilets. You also get quicker entry through security in the VIP lane and unlimited access.